8 Actionable Dad Tips – How to Protect your Kid Online! Kids are online more this day and age than ever. 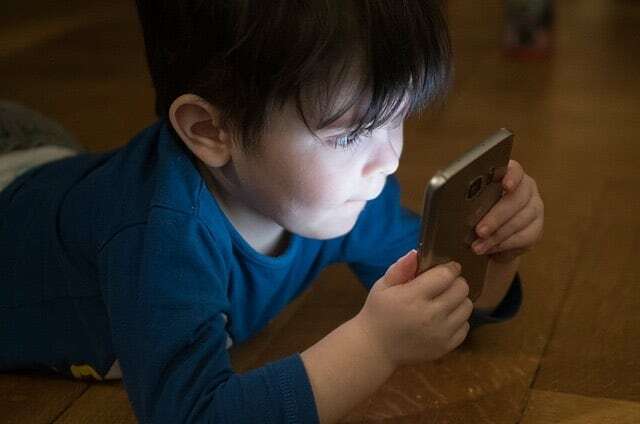 Some kids as early as age 8 have their own smartphone. As a dad, I have concerns over how to protect my kids online. Back in my day video games could only be played with friends when they were in the same room, but that isn’t the case anymore. Kids are online not only playing video games but for school work as well. How do we protect our kids online? Below are what I call 8 actionable dad tips to help protect your kid while they are online. My goal is to help keep them safe while still being connected and I have to admit it isn’t always an easy balance. 1. Best Defense is a good Offense. Don’t wait for something to happen or your kids see something before you do anything. As parents, we must be proactive to protect our kids from Danger offline and online. There are paid services that help with this but honestly, a great place to start is a free service (that I actually use) called Clean Browsing. The beauty of this is once it is set up it helps to protect all devices connected to your Wifi. Their free family filter blocks even adult content when using search engines and even youtube. It’s easy to set up with a little bit of access to your router. I won’t go into the full details but I had it all set up within a few minutes. Check out the Clean Browsing site as they guide you thru how to set it up for phones, computers and your wifi. 2. Keep Private Information Private. I know we love posting pictures of what we eat or events we go to as adults but kids don’t know what they should or shouldn’t share online. I suggest that your kids never reveal where they live, go to school, hang out or their real names. 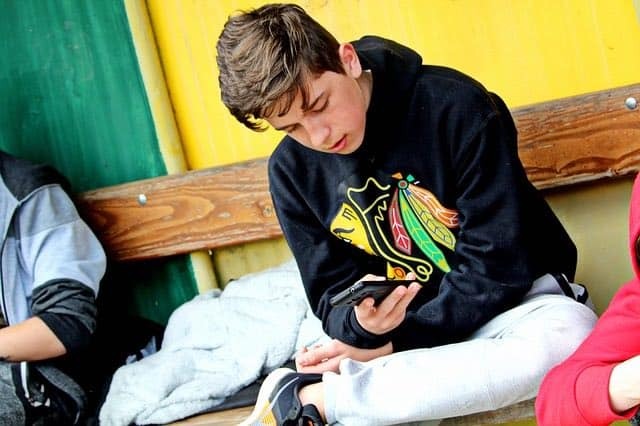 In addition to these, you should let your kids know they shouldn’t share any other personal or confidential information about themselves or even their siblings with people online. 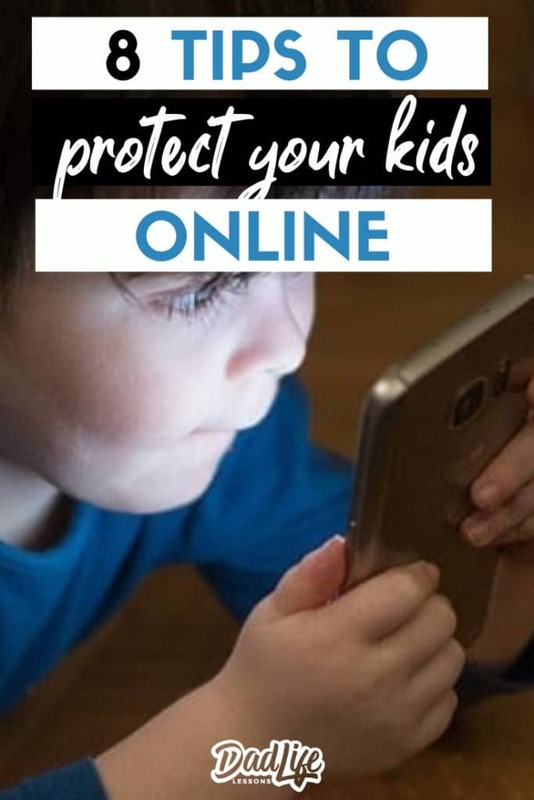 I know as a parent you may even receive the, I know Dad or even the occasional eye roll, take it as a right of passage to protect your kid online. 3. Don’t Let your Kids Shop Online without you. Remember your kids are sponges, it is easy for them to remember things like credit card numbers or even logins. My friends learned this the hard way. They were letting their kid add things to their Amazon wishlist without them watching. Surprise a few days later the items showed up on the doorstep as their kid wasn’t adding the items to a wish list but he was actually buying them! So make sure to apply this dad lesson – Don’t let your kids shop online without you. 4. Lock Down the Device. 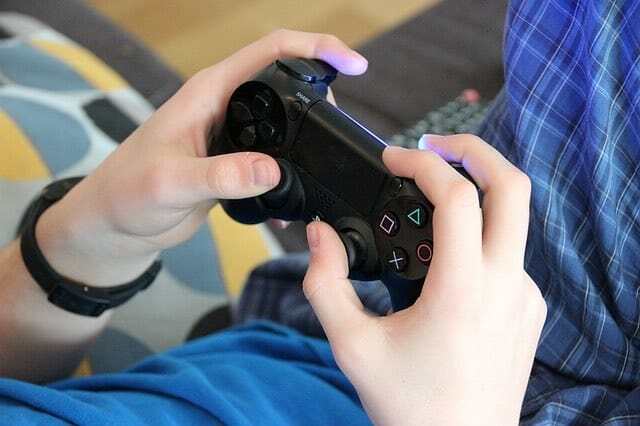 Luckily iPhones, iPad, computers and even video game systems have improved on having parental controls built in. The worst thing is having access to these tools and not using them until its too late. One Example if your kid has an iPad or some other tablet make sure you set it up that new apps must be approved by you. We did this on the iPad we use for Homeschooling. If one of the kids tries to add an app we get a ding on our phone to approve it or deny it. Also, make sure you turn off purchases and in-app purchases. Otherwise, you might end up racking up charges that your child buys 2000 coins for the jetpack game without your permission. The last Lockdown tip is you the device rating system to limit what they can access music, movie, and app wise. For the iPad it using the industry standard ratings to choose from G, PG, M, etc.. Make sure yo set it for the appropriate age I would err on the lower side as you can always change it later. With age, you will have to make adjustments to protect your kid online activities. We help you with the parental settings on the Xbox One read more here. 5. Remind them you have full access to everything on the phone. One friend I know has their kids hand over their phones at night and they review texts and what how they are using their phones. Kids will be kids and as parents, we should be parents and followup on our kids to make sure they are using their phones smartly. It may provide opportunities for discussions about if they can send pictures to friends, what type of pictures are acceptable. You can install apps that send you what they text or type on their phone so that you get a mirror for every text your kid sends and gets. TeenSafe app is one example of these type of apps. 6. Limit online Video Gameplay to friends and family only. I want to help my kids limit what they hear or don’t hear. Don’t get me wrong you will still have to be real with your kids even when friends or family say things inappropriately. My hope is by limiting it to friends and family they will be less likely to hear things they shouldn’t. Many online games allow you to play with anyone and everyone from around the world. This could mean your 10-year-old is playing with a 25-year-old talking inappropriately or talking crude smack. To help curb this from happening with my kids before the play games with someone online I must approve them as an addition to their online friends. Again this isn’t perfect but it is one way to help keep what they hear in a more family-friendly environment. Feel free to check out our Tech Lessons section for more tips around technology. 7. When possible keep devices in public areas of the Home. We all were kids once and most of the time we got in trouble when we were left to our own demise. The same is true when it comes to the internet, streaming shows, and video games. If you know your mom, dad, brother or sister will see or hear what you are doing, it provides a little personal check. The temptations are too great to let them have connected devices all the time in private. Over time with age, you can build trust but when they are young we must guide and direct them and provide safe environments for them to grow in. 8. Talk about it and explain why. I know at times I like to lay down the law or the good ole because your Mom or Dad said so, but that goes over better when I explain why. In then end we want to build trust with our kids, and to do this we must explain why. We must talk with our kids and let them know sadly not everyone online has good intentions. Some people want to hurt kids or be mean and as your parents, we want to protect you. Also, provide opportunities when you talk about it for them to ask questions or ask them about what they looked at or who they played with. Ask questions like were your friends rude or nice, did you see something you want to talk about etc? Opening up dialogue as a parent about online use is a great thing that will only build trust. If you feel the conversion needs some lightheartedness then you need our 10 Best Dad Jokes! 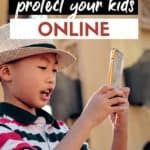 So there you have 8 actionable dad tips on how to protect your kid online! Of course, these tips don’t cover everything and none of these are a hard fast rule, but my hope is they help guide you in setting up the rules and protections for your home and family. Remember the internet and even games can provide a wealth of knowledge and growth when surrounded by the proper boundaries. Is there a rule or tip that you use in your house to protect your kid online, then share it with us on social media or by leaving a comment below.